Blouses are a must have for every woman's wardrobe. They're great to wear anytime of year and they're an item which will always make your outfit look that little bit extra smarter! I'm loving patterned blouses' at the moment and I fell in love with this one from Glamorous! 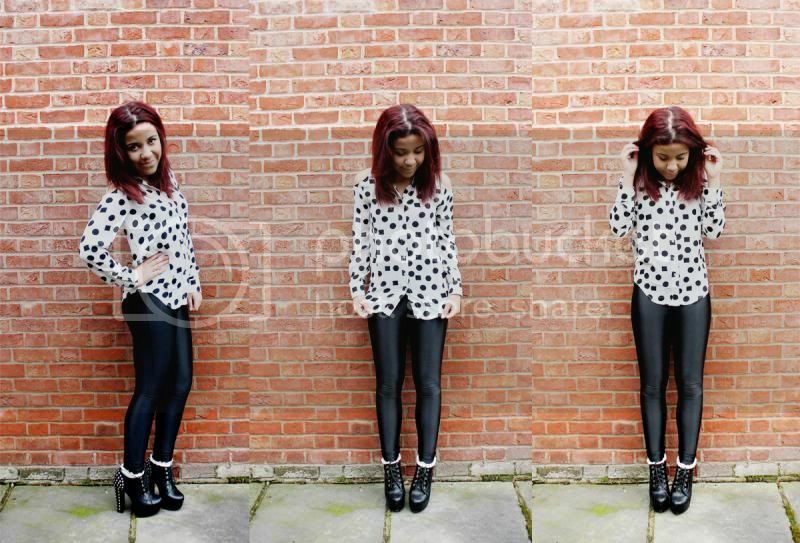 Shoes - So You Shoes I have teamed this blouse up with my all time favourite black disco pants and a pair of massive boots! I wore this outfit a couple of weeks ago to the press launch of Birmingham Fashion Week and got a few compliments for this blouse! Shoes - So You Shoes I love this outfit and the pattern on this blouse as it's so unique and different and I haven't seen anything else like this on the high-street at the moment! 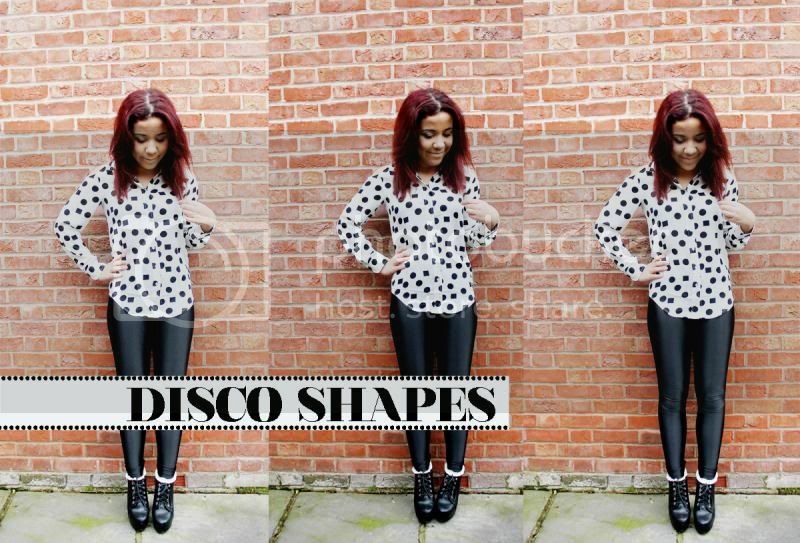 I love wearing disco pants too and this is a perfect outfit when you want to look that little bit extra smart! Shoes - So You Shoes I love the cut out shoulders on this blouse too. It really makes it a great statement piece to add to your wardrobe! How would you wear this blouse? Do you like this blouse? I have a shirt similar to yours. It fits in just perfectly with the monochrome trend. I like the shirt a lot! I can kinda imagine wearing it with monochrome stripe leggings and a black blazer. I love this blouse, the print is gorgeous :). I think it would look really cute tucked into some high waisted shorts! Love your style and you're gorgeous ! Great outfit matched with perfect pair of designer footwear.. Loved it..